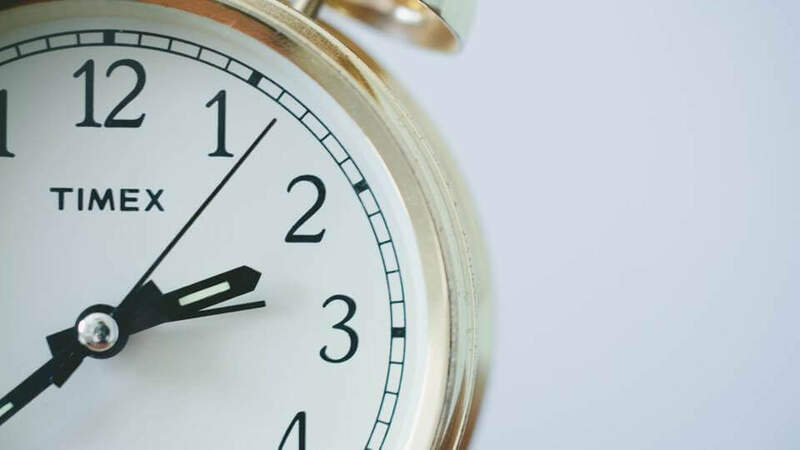 With the help of our revolutionary tool you can easily show any kind of date and time setting and integrate dynamic time displays in your next PowerPoint presentation. 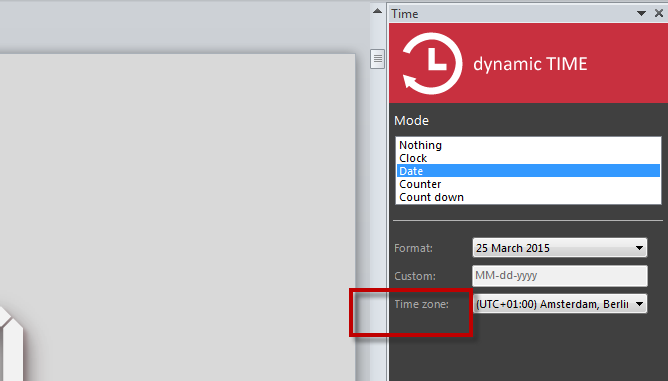 Configure and modify text boxes and you can create dynamic preset dates according to your requirements. The feature >presenter view in PowerPoint provides a temporal overview while performing (>presenter view) so that a speaker can have help to stay within a certain time frame. However, this tool is only visible for the presenter and not for his/her audience. 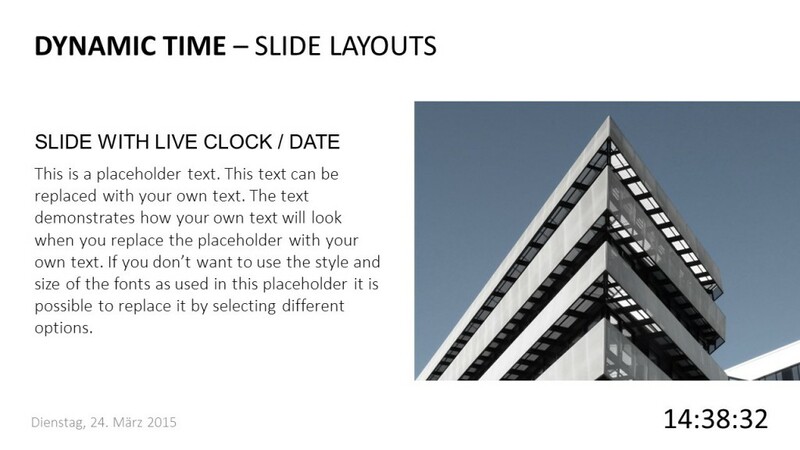 That is why our “Dynamic Time Add-In” complements your current PowerPoint version with smart features to integrate the time, date and countdown in your next presentation. Business presentations, slideshows, info screens or exhibition presentations: a time or countdown can be crucial for your business presentation and highlight a very important factor of your statement. 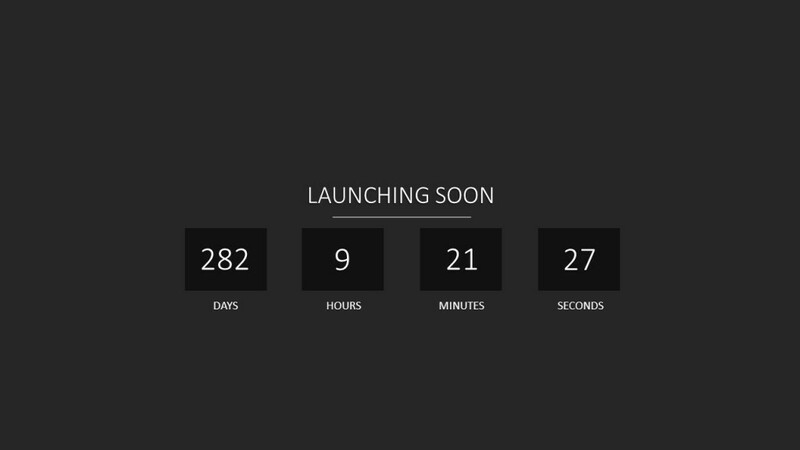 By showing a countdown you demonstrate, for example, the upcoming release of a new product or the relaunch of your website. This will give your presentation a vital and dynamic touch and you will benefit from tools that are not accessible to everyone. We created this article to get you started and to simplify the beginning. You will be guided through the installation process and with a few easy clicks you add all features to your PowerPoint program. Follow some simple instructions and start modifying now. 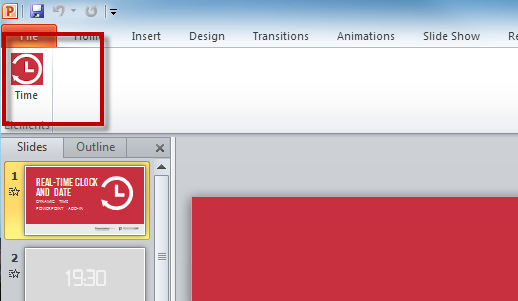 After downloading the tool, the add-in is automatically installed (you may need administrator rights) and a new tab will be integrated into PowerPoint. 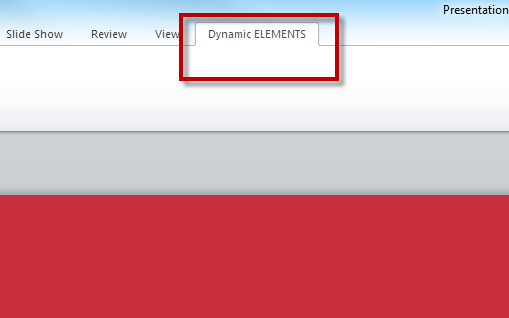 After the installation, open PowerPoint and click on “DynamicElements.” Then select “Time” to open the “Time” panel. Insert a new text box and define which mode you want to use. 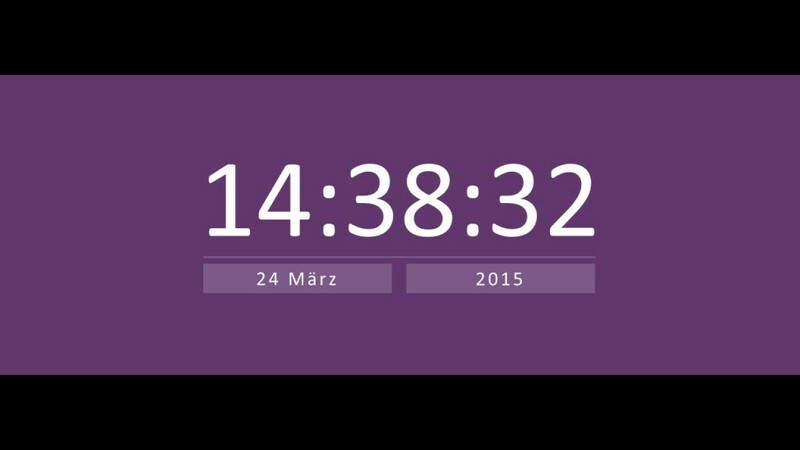 You can open as many textboxes as needed and add date and time displays. Just create a new text box and activate the required mode by using the “Time” panel on the right side (pre-defined setting is “Nothing”). Define your given time zone or otherwise the time zone will be automatically set. You can display any time and date format in one box or split the time into single parts (i.e., date in hours, minutes and seconds). 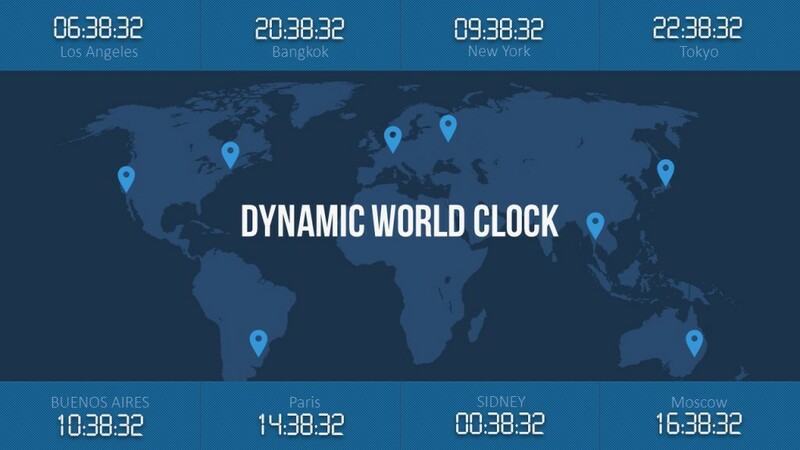 By showing different time zones, you configure your own company world clock. Include weekdays (i.e., Fr or Friday) or create calendar pages and combine time and date. This way you exemplify the past time since the release of your new product, the start of your website, your company foundation or the opening of a new location. 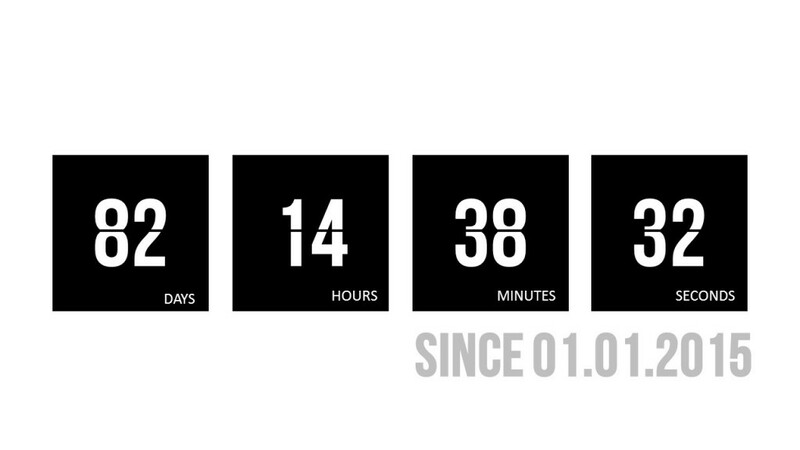 This way everyone sees how long it will be until your next event, publication of your new website or the release of a new product. 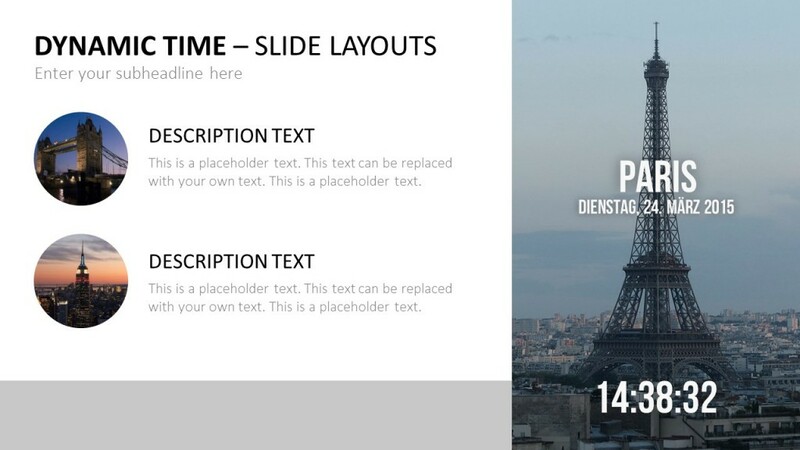 Enjoy your work with the new “Dynamic Time Add-In” and start editing now! superb add-in. Works great with our company’s infodisplay.